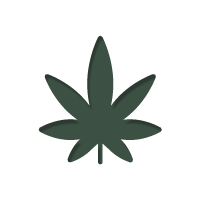 Nederwiet has become the symbol of ganja innovation. Dutch breeders changed the world of pot. Click here and absorb some essential stoner info. Nederwiet can be grown both indoors and outdoors. Under Dutch law, one can cultivate up to five cannabis plants. One can’t, however, grow under lamps such as HPS or LED, because that implies a “commercial” operation, which is illegal. Obviously, the history of nederwiet spans back thousands of years to the Asian continent. The first mention of Dutch ganja, however, spans back to 1955, where a sativa was grown near Utrecht for getting-baked purposes. A couple of years later during the 60’s, American cannabis made its way into the hands of Dutch breeders. That’s when everything changed. Strains such as Northern Lights, an indica/sativa hybrid, catalysed the improvement of nederwiet with its superior quality. The actual term “nederwiet” first appeared in a Dutch newspaper 'Het Vrije Volk' on July 7, 1971. The article discussed the contrast between Dutch and tropical climates, highlighting the differences between Dutch and tropical “nederwiet” therein. If you stumble upon a time-machine, we recommend turning the dials to the 70’s, when the true ganja renaissance blossomed in the Netherlands. Superb cultivars from the US got blended with Dutch strains by Dutch breeders. The taste, potency, aromas, and growth characteristics were improved upon, resulting in genetics that we are privileged to experience today. During the 80’s, strains such as Skunk #1, Original Haze, and Northern Lights became super popular. At the time, these strains had lower THC levels than today’s counterparts. That’s when the legendary seedbank Sensi Seeds stepped into the game with innovative breeding techniques, elevating nederwiet to become the pinnacle of the ganja world. Today’s nederwiet is not the same stuff your hippie parents used to smoke in the 70’s. The potency has increased significantly. Back in the day, knowledge of growing cannabis was limited, and genetics didn’t undergo a lengthy selection process. The THC-levels ranged between 4-10%. During the 80’s, when breeders began collecting their Ph.D’s in ganja breeding, the THC levels rose dramatically. In 2004, the average marijuana potency rose to around 18%. At that time, the focus was mainly on increasing THC levels. Although today, nederwiet strains are beginning to see a rise in CBD and CBN content. Dutch breeders are focussing more on flavours, terpenes, aromas, flowering time, and a more complex and therapeutic mixture of cannabinoids. Research shows that today’s nederwiet is more potent than American weed. That’s probably why many artists had to cancel their shows in the Netherlands due to an “acute illness.” Therefore, if you decide to toke that nederwiet, make sure to clear your schedule for the day and start with small amounts. Nederwiet took the world by storm, a super dank storm. It’s not merely a composition of many extraordinary plants, nederwiet has cemented its legacy in Dutch culture, never to be forgotten. Check out this Dutch reggae tune about nederwiet, then sit back, relax, and explore the following strains. South African treasures have manifested themselves in a dank Power Plant, spreading much joy and mystery among ganja enthusiasts. After the first toke, sativa practitioners instantaneously fall in love with this wonder. The solid THC levels and terpenes inherent in Power Plant illuminate our consciousness with groovy thoughts. Dutch Passion are heavyweight champions in ganja breeding. If one wishes to explore the sheer power of nederwiet, Power Plant shall deliver. Indoor, outdoor, and greenhouse growers experience solid yields from this cultivar, which emanates delicious aromas. Plant the Power Plant and power up! If a statue is carved to commemorate the dank legend of our era, White Widow shall be the model. During the mid-90’s in Amsterdam, this perfectly blended hybrid took the cannabis world by THC-infused storm. Tokers can’t get enough and coffeeshops are in constant supply. This indica/sativa mix originally derives from a South Indian indica father and a Brazilian sativa mother. The rewards White Widow has been granted are exceptional, yet not surprising. The cannabinoids and terpenes are perfectly blended, releasing pine and citrus aromas, delighting her prey. Is it a bird? Is it an plane? It’s Super Skunk! Ready to rescue the world with her dank superpowers. Sensi Seeds has developed some of the dankest nederwiet known to mankind. They are one of the original breeders who changed the world of cannabis genetics. Super Skunk is a cross between Afghani indica and Skunk #1. There are many Skunks out there, although this Super Skunk is a unique one. The flowering time ranges between 45-50 days, the THC-levels are dank, and the highs are exquisite. The indica dominance entangles the toker with a sweet body stone and chilled vibes.